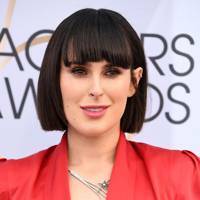 Rocking a fringe is an instant style statement and the right one can switch up your look from rock chic to elegant swan to bedheaded beauty with a swift flick of the hair. Before you go for the chop, you should probably work out what length it should be. 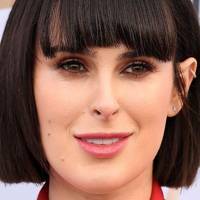 Do you want blunt-cut bangs, side-swept locks or a peek-a-boo fringe? And are you going to keep your hair long, cut it into a short hairstyle when you get your fringe? Keep your 'do curly or straight? 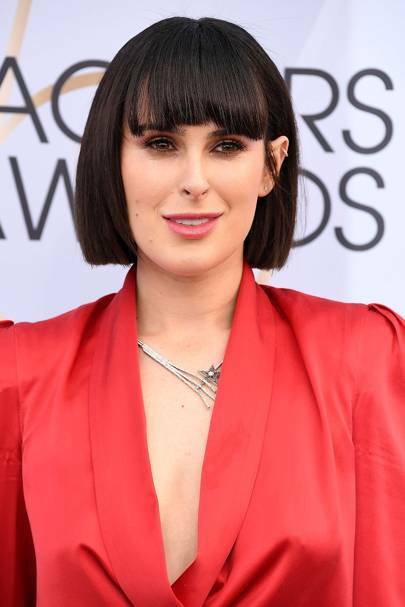 Could this super sharp bob and full-bodied fringe mark the end of hair experimentation for Rumer Willis? 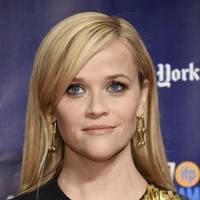 We doubt it, but her deep mahogany crop at this year’s SAG Awards is still a shining moment. 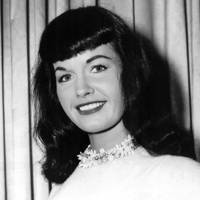 The sleek side sweep might just be the defining fringe of the decade gracing every red carpet and glam evening event. Better yet, it doesn't even require a chop - simply tuck behind the ears. 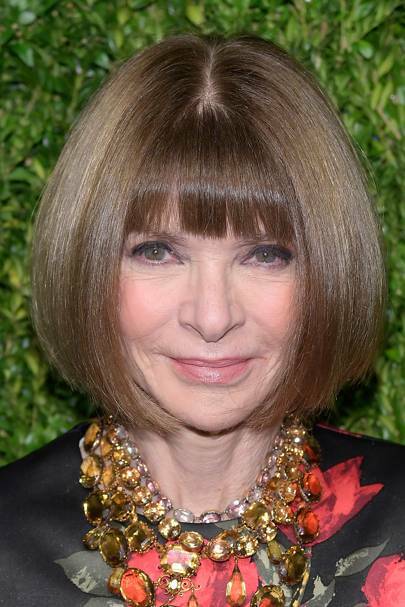 One of the most recognisable hairstyles in the world, Anna Wintour's fringe and blunt bob combo are as iconic as it gets. 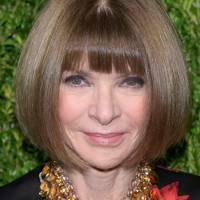 Anna is said to have a strict one-month trim appointment to maintain such structure, and during Fashion Month she has twice-a-day blowdries because she's Anna Wintour, k? J-Lo just made the grown out fringe THE chicest hairstyle of Autumn. Flattering, easy to maintain and effortlessly chic, we are living for this lewk. Thought 90s strands had been banished? Think again. 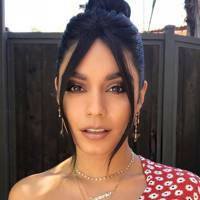 Vanessa Hudgens just proved the slick hairstyle is officially back in fashion with her latest Instagram post. We're into it. 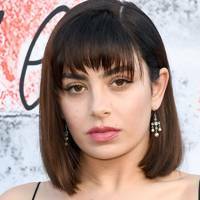 Charlie XCX totally transformed her entire look by swapping her long tumbling waves for a sleek lob and a choppy fringe. Em Rata, queen of Instagram seduction, treated us to some sultry shots of her new choppy fringe and soft waves as she modelled them in France. 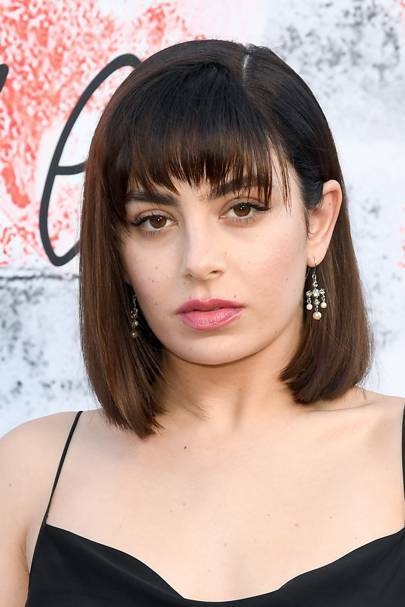 Mila Kunis stepped out on the red carpet at MGM Grand Garden Arena in Las Vegas for the Billboard Awards with brow skimming bangs and we are living for her new look. Offset with smokey eyes and textured waves, the entire look was Gothic chic. Maya Jama is absolutely killing it right now. From her chic sartorial choices, to this trendy new hairstyle, she's our current girl crush. Super sleek and super chic, this look totally works for Maya. God dammit Selena, can you just stop being complete hair goals for one minute? Spotted front row for Coach at NYFW, we were more mesmerised by this choppy, side-swept fringe than what was on the runway. Faux or real, we're feeling it. 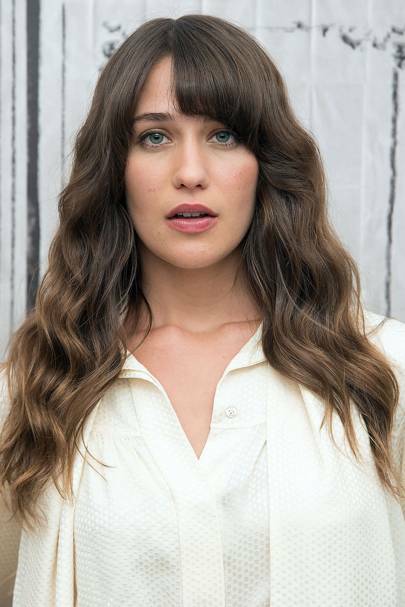 Thought your naturally wavy hair couldn't handle a fringe? Vanessa Moody proves it's not just a style for dead straight locks – it's all in the cut. Straight fringe + curly hair sounds very noughties to us, but Alison Brie pulls it off. 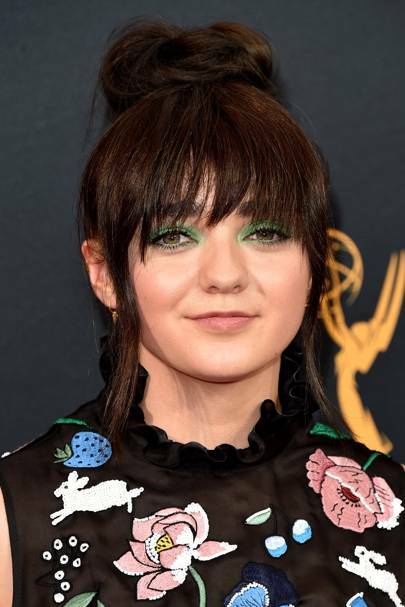 The actress' bangs go great with romantic updos like the one she's showing off. 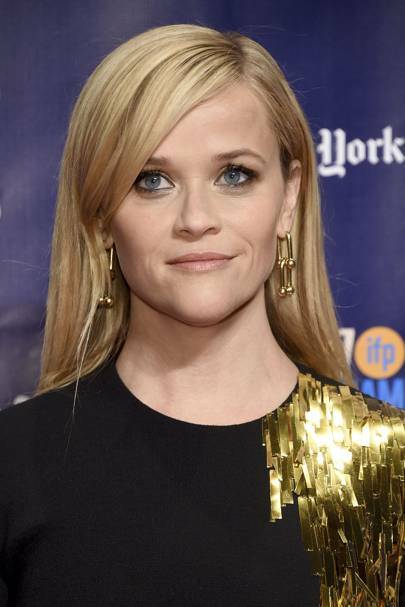 After all these years, we're not sure yet why people aren't calling this fringed-haircut 'the Reese'. 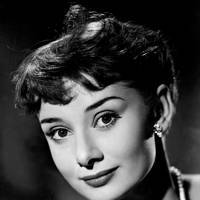 The actress' signature look is the ultimate modern southern belle style, and also great to frame the face. 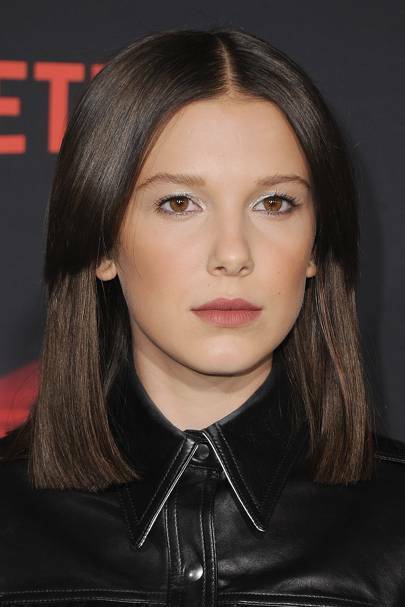 Millie Bobby Brown has got a fringe and she looks super grown-up. 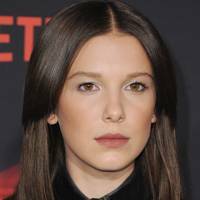 The Stranger Things star stepped out for the Netflix premiere of the series in a leather ensemble, white kitten heels, natural makeup and this new cut. We're swooning over Kirsten Dunst's hair at the premiere of her latest movie, Woodshock. The romantic waves with that delicate fringe (and of course, the flowers) are truly stunning. 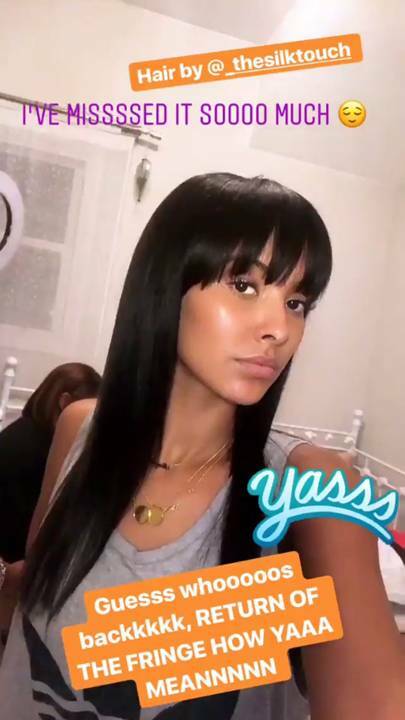 Emily Ratajkowski has teased a fringe before, but it turned out to be a wig - we wonder if this one is for keeps? Either way, it looks pretty amazing. Sofia Vergara upgraded her signature 'do with eyebrow-skimming choppy bangs, and she looks gorge! 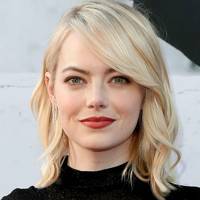 Ultra subtle and chic, Emma Stone's side-swept bangs are a perfect option for fringe beginners. 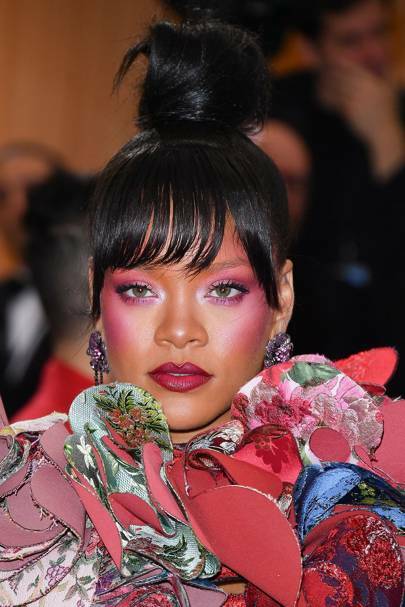 We love the fringe Rihanna sported for the 2017 Met Gala. The angled ends give it a special edge. 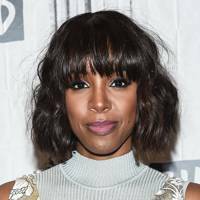 Kelly Rowland's fringe looks gorgeous with her new tousled bob, proving that curly locks with a straight fringe can totally work. We don't see fringes parted in the middle very often, but Behati Prinsloo showed us how it's done - flawlessly done. Behold the most badass haircut on this list. Joan Smalls's fringe is a something like a statement piece. We're missing Emma Watson's fringe, and how adorably romantic this haircut was. 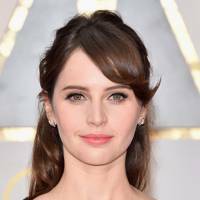 If you're not quite ready to commit to a full fringe, follow the stunning Felicity Jones' lead and opt for a light, side-swept style. 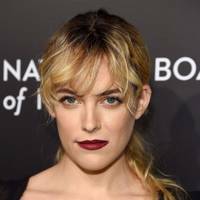 We can't get enough of this look from Riley Keough. 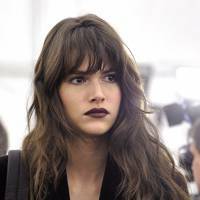 Firstly, we love the dark moody lip shade. Secondly, just look at those brows! And of course, we can't not mention her perfectly tousled ponytail and fringe. What a hat trick! The stunning Jessica Biel looks like a Boho Queen with her tousled hair and choppy full fringe. We want this style for 2017! We're getting major rock chick vibes from Chloe Moretz' sweeping fringe. 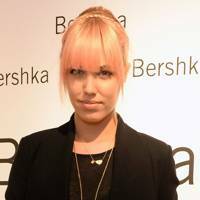 This is a great way to wear bangs if you don't want to commit to a fuller style. 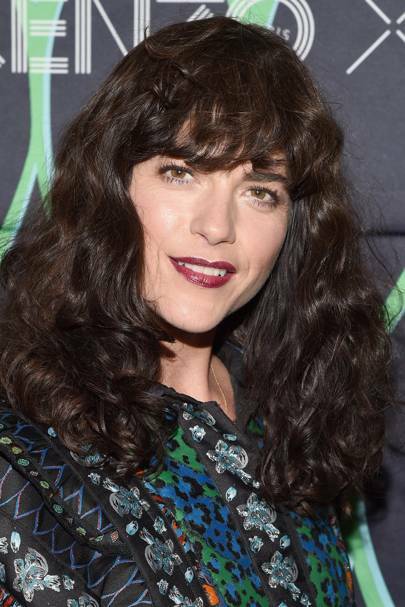 We're so obsessed with Selma Blair's curly locks and cool fringe. She topped off her look with vampy lipstick. We love the way Felicity Jones makes her heavy fringe a little lighter by parting it subtly. Top marks! We're loving Jenna Dewan Tatum's new full fringe. It suits her perfectly and looks gorgeously glossy alongside her chic bob. Halle Balle's ponytail/fringe combination is sheer perfection. Un-done, "messy" - it's low-key but glamourous at the same time. We love Rashida Jones's bob with her fringe. Felicity Jones shaggy cut block fringe is pure Autumnal perfection. We adore Karlie Kloss's fringe that she rock at the Louis Vuitton show during PFW. Err, Jaime King can we steal your look right about now? Rashida looks super cute with her full fringe. 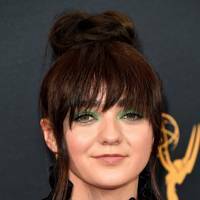 Maisie Williams, you should get a fringe more often! Karlie Kloss recently showed off this new blunt fringe cut, which she paired with an excellently bold red pout. 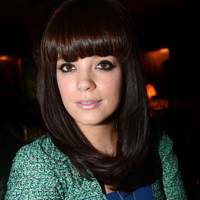 Daisy Lowe is all ready for her appearance on Strictly Come Dancing. 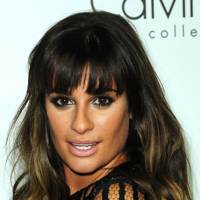 She was spotted at the launch event wearing a light fringe and bold red lipstick. Ariana Grande's signature high ponytail looks even better with her new fringe. 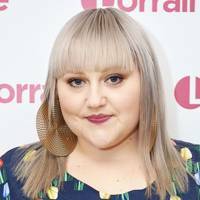 Are you wanting a fringe but have commitment issues? Well, let Taylor Swift be your inspiration. 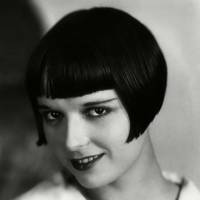 The popstar keeps her fringe swept to the side which gives her sweet bob a little more edge. 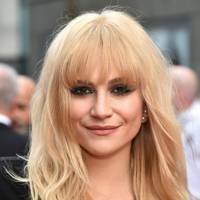 Imogen Poots rocks a gorgeous long side-sweeping fringe on both sides - this is a perfect style to pick if you don't want to commit for too long. Naomi Campbell's gorgeously straight locks are pure perfection. The only thing that makes her style even better? This choppy full fringe. Hailey Baldwin's glamorous blonde locks look even better with this choppy fringe. 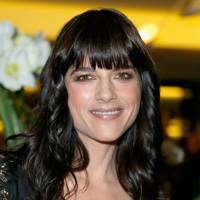 Selma Blair's fringe has been looking ace recently. 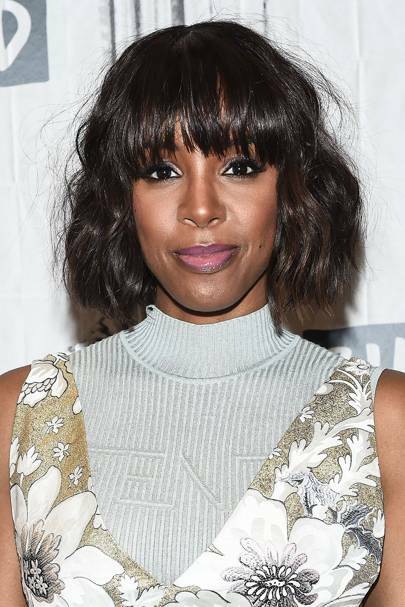 We love the choppy style and her textured long bob, too. 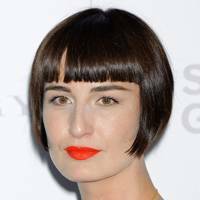 Erin O'Connor's poker straight locks look even better with this statement blunt fringe. Bella Hadid sported a new look at Cannes Film Festival 2016. 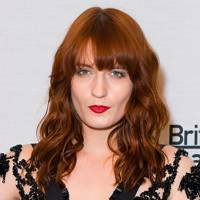 We're not used to seeing her with a fringe, but it was a 'blink and it's gone' faux style! We're obSESSED with Georgia May Jagger's tousled hairstyle and subtle swept bangs. How stunning is her bright eyeshadow, too?! Gigi Hadid showed off a faux style at the 2016 MTV Awards in the form of this blunt fringe. 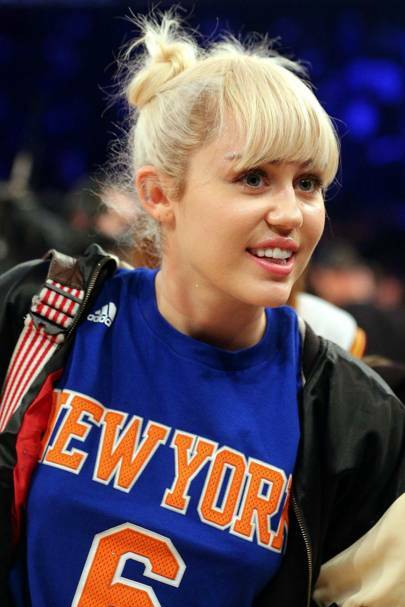 Miley Cyrus showed off her new engagement ring at a basketball game in New York - and she also took the opportunity to reveal a new fringe. Her new platinum hair colour and the full fringe is a good look for the singing star. We're kind of obsessed with Amber Le Bon's rose gold locks at the moment, and particularly love her awesome full eye-skimming fringe. 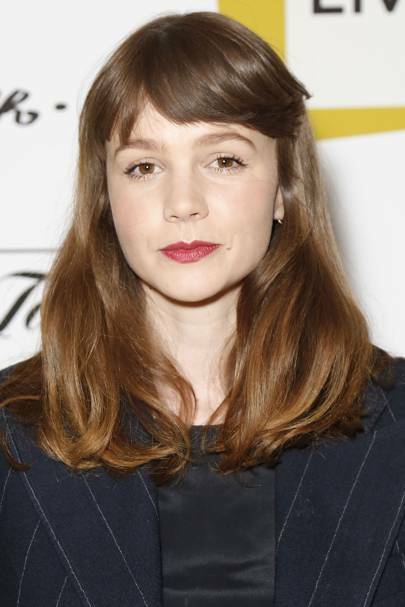 Carey Mulligan recently debuted a brand new fringe - she opted for short, choppy bangs rather than a full longer style. After seeing so many full fringes lately, we got super excited over Hailee Steinfeld's cool sweeping bangs which suit her perfectly. 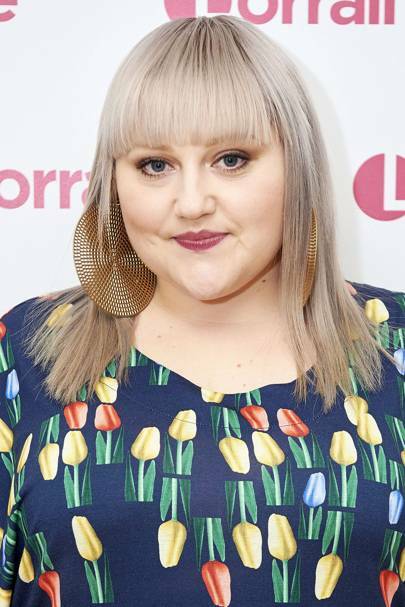 Beth Ditto chose to wear her full fringe with large metallic earrings. 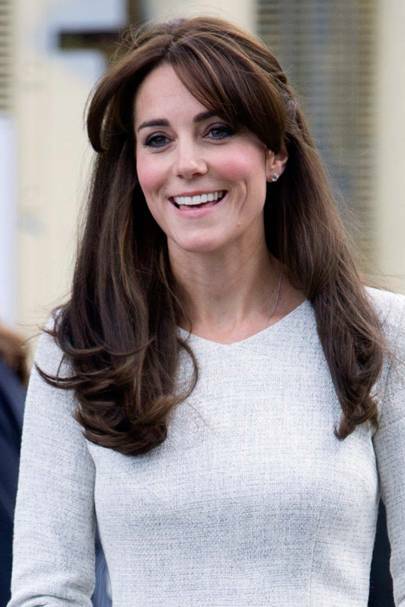 She is currently rocking a grey-toned blonde hue, too. A choppy, textured fringe works perfectly with Halle Berry's gorgeous short bob. Christina Ricci's gorgeous blonde full fringe is glossy, sleek, and suits the star perfectly. 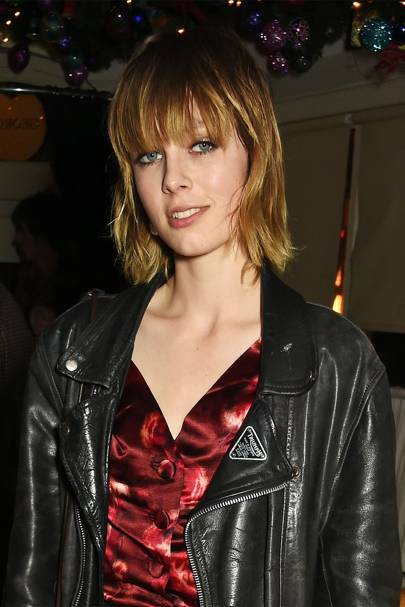 One of our favourite fringes belongs to the stunning Edie Campbell, who always looks like the ultimate rock chick. 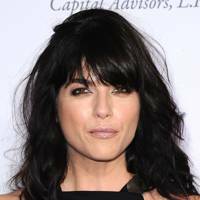 Her gorgeously tousled short bob and full fringe make for hairstyle perfection. Who would have guessed that Lady Gaga and a fringe would have worked so well together? The singer went for a thick, choppy version and it looks fabulous! 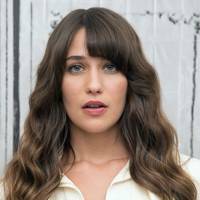 Lola Kirke gives the fringe a new edge by pushing it to one side. 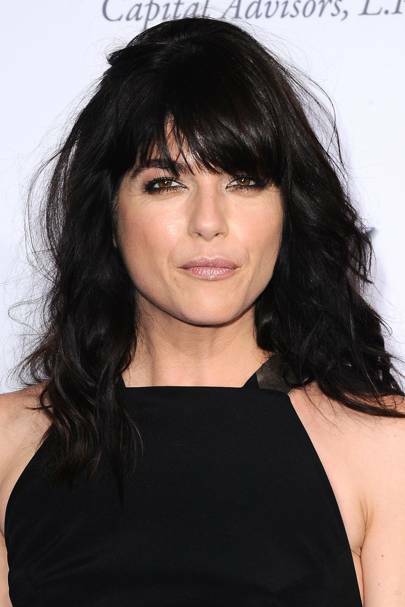 This style is great if you like to mix it up and swap between a full fringe and sweeping bangs. Kendall J gave us serious fringe envy at this year's America Music Awards. Why hasn't she rocked this style before? 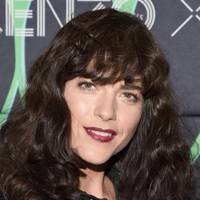 Selma Blair's signature blunt fringe looked glossy and gorgeous at The Hollywood Reporter's beauty dinner. We love, love, love Dakota Johnson's boho fringe worn with tousle waves at the Hollywood Film Awards. Sienna's got right into the autumn trend of fringes and we love it. 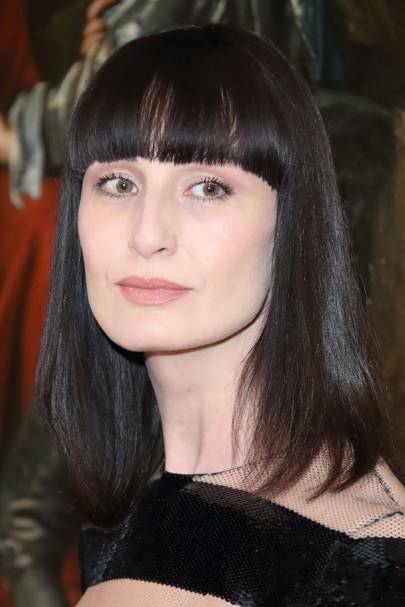 Cut just by her cheekbones, the long style really helps to shape her face. 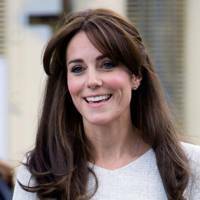 Kate Middleton's stylish new fringe was showed off when she visited a women's prison recently. 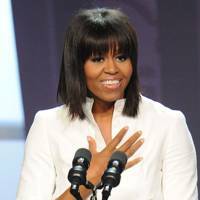 We have always been envious of her gorgeous chocolate brown locks! 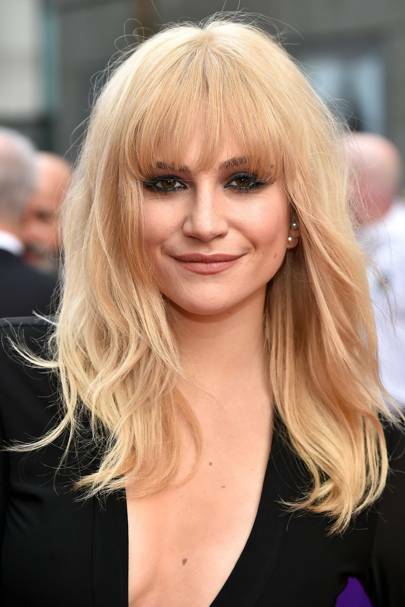 At the Olivier Awards in London, Pixie Lott debuted her new 'do. 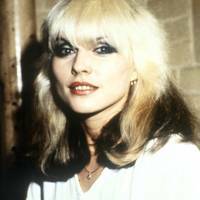 Keeping in line with this season's '70's obsession, the singer kept things boho with longer bangs and layered hair. It's a hit with us! 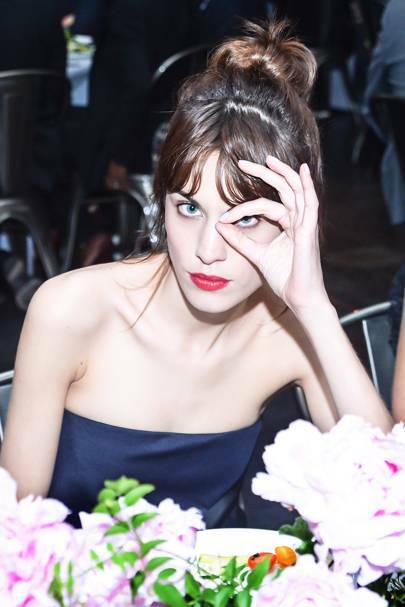 Grungy, tousled locks were Alexa Chung's signature, but looks like she was ready for a sleek-over, as she debuted this new straighter, lighter look and a brand new choppy fringe. We like. Suki Waterhouse's blend of beach babe meets red carpet goddess is so the hairstyle we want to recreate STAT. 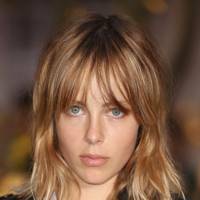 Aside from the tousled aesthetic and the cute little side plaits, it's the choppy in-your-eyes fringe that is really tugging at our beauty strings. Felicity’s cutesy short fringe swept to the side with an up-do is the easiest way to update your look this season – and give your look a nod to beauty icon Audrey Hepburn in the process. 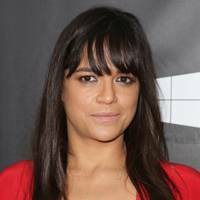 Michelle Rodriguez debuted a hot new fringed look in October 2014 at the amFAR Inspiration Gala in Los Angeles... And we like it! 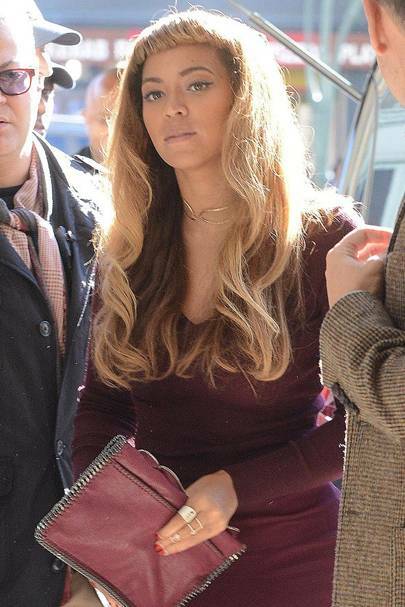 Arriving at Gare du Nord station in Paris, we couldn't help but notice that there was something a little different about Beyoncé - her hair, of course! 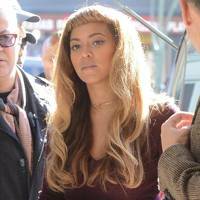 Queen Bey sported tousled long waves complete with a super short blunt fringe. We kinda love it! Jessica Chastain's flowing russet red locks are usually whipped up into a gorgeously old Hollywood classic style so this grungey fringe is quite the beauty departure for the beautiful actress - but one she pulls off with typical aplomb. What a banging up-do Hannah Simone was rocking at the 2014 SAG Awards. 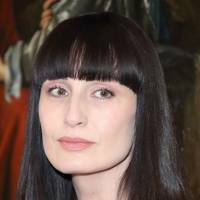 There’s so much bounce and volume and softness in her fringe that we just can’t stop staring at it. Yep. Hailee Steinfeld’s centre-parted, Stevie Nicks-inspired bangs are going to be our fringe-spiration for summer 2014. Bella Thorne’s thick and glossy, centre-parted highlighted bangs are amongst the best we’ve seen in ages. 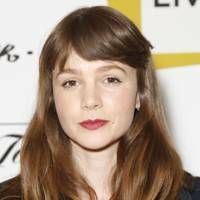 Plus, hers are a great style for those wanting to get a fringe cut in without committing to a full fat, brow-skimmer. 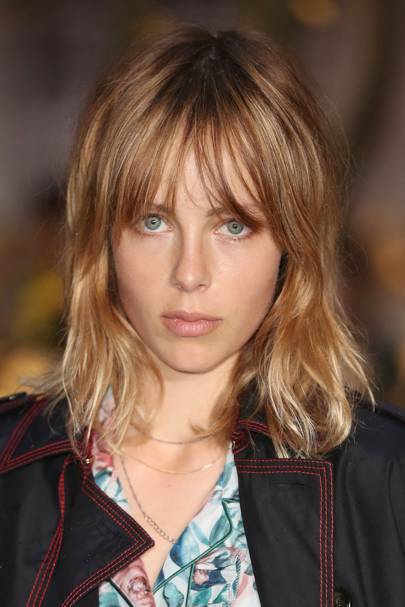 The mullet cut isn’t for everyone, but if you’ve got the face (and fashion forward attitude) of Edie Campbell, why not play copycat with her super choppy fringe? 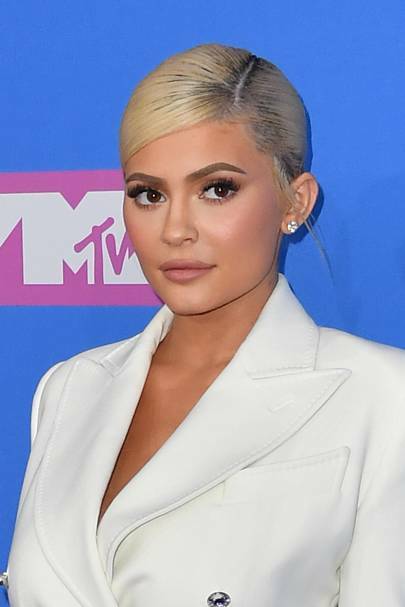 Kylie Jenner (and her famous sisters) are known for their enviable long locks but Kylie really sets herself apart with this full-fat brow skimming fringe that perfectly sets off her elegant dip-dye. 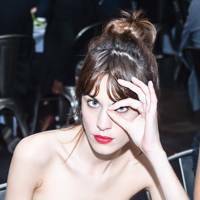 There's nothing like a good set of bangs to completely transform your look. Hailee Steinfeld added a full-fat fringe to her brunette locks and instantly earned some extra style points. Fringe alert! Jessica Alba has had some bangs cut into her brunette locks. No surprises here: she looks gorgeous. The key to Radio 1 style queen Jameela Jamil's hair success? That enviable mirror shine! 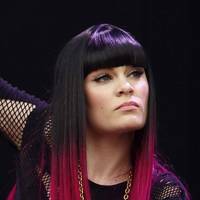 JJ has the most gorgeous bangs in celebville. 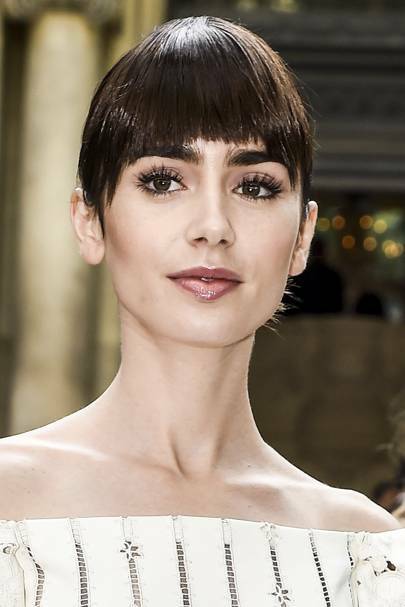 Nothing softens a glamorous up-do like a loose and long full fringe. Make like Sienna Miller and leave a few longer strands loose at the sides to frame your face. 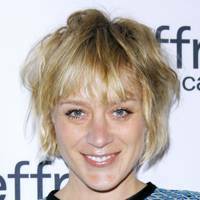 If you're growing your fringe out, make like Alexa and go for a soft, centre-parted style, which looks great with a loose bun. She looks flawless here with glowing skin and a strong red lip. After throwing us a few hair red herrings recently with the use of a winge (the faux-fringe-wiggy-accessory currently sweeping celebdom) Kim finally debuted the real thing after plumping for some blunt-cut Kanye-approved bangs.